Hossen Sohel: China’s film authorities have denied a release to Disney’s new Winnie the Pooh film, reports BBC. Winnie the Pooh, also called Pooh Bear, is a fictional anthropomorphic teddy bear created by English author A. A. Milne. No reason has been given for the decision, but it is believed to be part of a nationwide clampdown on references to the beloved children’s character. Chinese authorities have been blocking images of Pooh on social media since last year, after the bear became a symbol of political dissent. It is after the Chinese leader Xi Jinping has been compared to the bear. 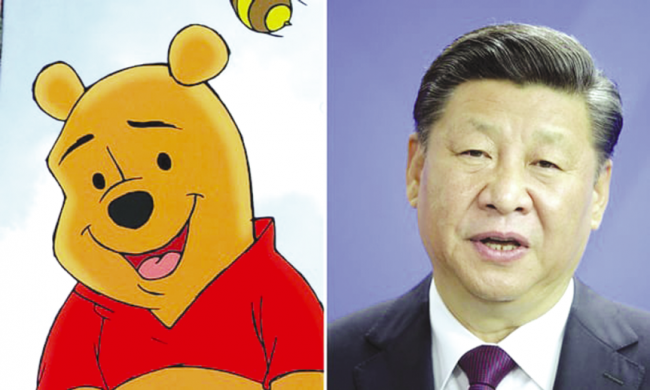 In 2015, a picture showing Xi in a motorcade alongside an image of a Winnie the Pooh in a toy car was called “China’s most censored photo”. In June, China censored comedian John Oliver and HBO’s website after the British talk show host ran a segment on his US show, Last Week Tonight, criticising Xi and China. In the roast, he also mentioned the President’s sensitivity to being compared to the bear.